Zero Degree restaurant and bar is where you’ll find poolside dining at its finest: a simple yet wide menu of international dishes that addresses all cravings from crisp fresh salads to European, Asian and middle-eastern dishes. Guests can choose to dine barefoot in the water, under a thatched roof, in one of the poolside cabanas swathed in fabri, or of course for the ultimate sun lovers, the sun beds by the pool. 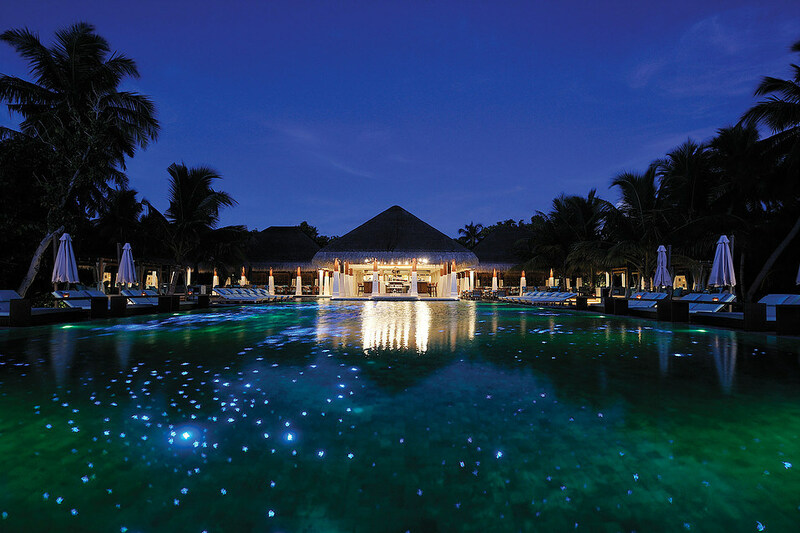 At night, thanks to its incredible LED lighting display, the pool transforms into a myriad of tiny stars, reflecting the incredible night skies for a unforgettable midnight swim.